The giant Pacific octopus is a demersal cephalopod that typically inhabits shallow coastal waters along the west coast of North America. There is currently no targeted commercial fishery for this species in BC or AK. However, incidentally landed individuals may be retained for sale in the region’s trap/pot fisheries. The amount of octopus caught by each of these fisheries varies by region; from 1997 to 2013 it was less than 5% of the Pacific cod pot catch in AK and in 2013, retained octopus constituted <1% of the Dungeness crab catch in BC and 2% of the spot prawn fishery’s catch the previous year. In BC, giant Pacific octopus is incorporated into the Integrated Fisheries Management Plans for both Dungeness crab and spot prawns. While there are no catch limits for octopus, there are no concerns regarding the management of these target fisheries. Both have annual stock assessments and fishing capacity is limited through licensing and spatial restrictions. In AK, catch limits for octopus exist and the management of the Pacific cod pot fishery is also highly effective. Giant Pacific octopus has a low inherent vulnerability to fishing. However, there is little knowledge of the state of the stock in both BC and AK, and no model-based stock assessments exist for this species. As such, there are insufficient data to determine whether E. dofleini is currently overfished or nearing an overfished state in both regions. Since pots and traps are highly selective gears, few other species are caught by these fisheries and overall bycatch is minimal. Management in both regions effectively monitors incidental landings and has measures in place to mitigate gear loss (which could lead to ghost fishing). Spot prawn and Dungeness crab traps are generally placed on rocky, hard substrate which is relatively vulnerable. However, traps do not usually cause as much damage as mobile gear types such as bottom trawls. Restrictions on the number and size of traps, as well as where fishing is permitted, helps mitigate impacts. There are no habitat concerns for the AK Pacific cod pot fishery. The day/night octopus (he’e) fishery takes place in shallow state waters. In 2011, 35,347lbs were landed commercially, with recreational landings likely matching the commercial ones. The majority of he’e is fished by three-prong spear, and the rest are fished by handline. Global production of octopus has been increasing and in 2011, over 290,000 mt were landed. Much octopus from Asia is imported and is sold at a cheaper price than the more desirable local Hawaiian octopus. Stock status is unknown as no stock assessments are performed on the commercial fishery. A large recreational fishery also exists. Day and night octopuses have life history characteristics that make them inherently resilient against fishing pressure. These include a short lifespan, high fecundity, and quick time to maturity. Fishing mortality is a moderate concern for day octopus which comprises most of the catch, and a low concern for night octopus. There are no catch limits in place, but a minimum size limit of 1lb exists, and commercial landings must be reported. There is no bycatch caught in this fishery. Baited handlines have minimal contact with the seafloor, and spears have practically none. This causes almost no habitat damage. There are several commercial fisheries for common octopus in the Northeast Atlantic; the Spanish and Portuguese pot fisheries are the only sustainable ones. Although these fisheries lack adequate fishing reference points and quotas, current evidence suggests the stock is stable and this fishing method has virtually no impact on other species in the region. The common octopus is a benthic cephalopod distributed on rocky, sandy and muddy bottoms from the coastline to the edge of the continental shelf. This species has high fecundity, low age at maturity, a relatively short lifespan, and rapid growth rate, all of which make it a naturally resilient invertebrate. Population status is currently unknown as no formal stock assessments for common octopus in Portugal or Spain have been conducted. While both catch and biological data have been collected for several decades, no reference points or catch quotas have been set for these octopus fisheries. Both Spain and Portugal manage their octopus fisheries under domestic policies, and current legislation includes limiting the number of fishing licenses in operation, and defining maximum numbers of pots and the minimum landing weight. In addition, two annual temporary fishing bans have been also set for Spanish fishers to allow for spawning and juvenile growth. Pot-caught octopus fisheries have no associated bycatch. Pots are designed in such a way that allows unintentionally trapped species to escape. If any non-target organisms cannot escape, they are usually alive when the pot is collected and safely released back into the environment at that time. Vase-shaped pots, made of either clay or plastic, are lightweight and have a negligible impact on the bottom habitat. Since they are a type of passive gear, they do contact the bottom, but are not scraped along the seafloor like active bottom gears (e.g. trawls). There are several commercial fisheries for common octopus in the east Atlantic Ocean. Regardless of the country fishing, all octopus caught using bottom trawl and traps in the region are unsustainable due to concerns of the impacts of these gears on the surrounding environment. The common octopus is a benthic cephalopod distributed on rocky, sandy and muddy bottoms from the coastline to the edge of the continental shelf. Records indicate that while the Spanish and Portuguese populations appear to be stable, both the Moroccan and Mauritanian stocks have been heavily overfished and these depleted stocks have not yet shown signs of recovery. Management of octopus in the east Atlantic occurs at the national level. Both catch and biological data have been collected for several decades, but no reference points or catch quotas have been set for these octopus fisheries. While both Spain and Portugal have licensing and landing policies in place, Morocco and Mauritania lack a proper management scheme and recovery plan for octopus in their waters. While traps are more selective than trawls, non-target species are landed by both types of fisheries. Bottom trawls fishing for octopus in the east Atlantic are known catch threatened and endangered species such as oscillate rays, sharks, turtles, as well as numerous fish species that are also overfished (e.g., European hake, common cuttlefish, blue-spotted sea bream). Given the high level of by-catch, bottom trawl octopus fisheries also have substantial discards (i.e., 40-60%). Traps typically have few adverse impacts on bottom habitats since they are a passive gear. Conversely, bottom trawls cause substantial damage to the seafloor, destroying habitat structure and altering the species composition of the benthic environment. In Mexico, red octopus comprises about 2/3 of the octopus catch, and common octopus makes up the remainder. While the common octopus is exported globally, the red octopus is consumed domestically within Mexico. 4% of the octopus imported into the US is from Mexico. Octopuses have life history characteristics such as a short lifespan and quick time to maturity that make them inherently resilient against fishing pressure. However, catches of the red octopus have been exceeding quotas for almost a decade, and no information is known on the population level of the common octopus. In 2013, abundance surveys for the common octopus were deemed a research priority. 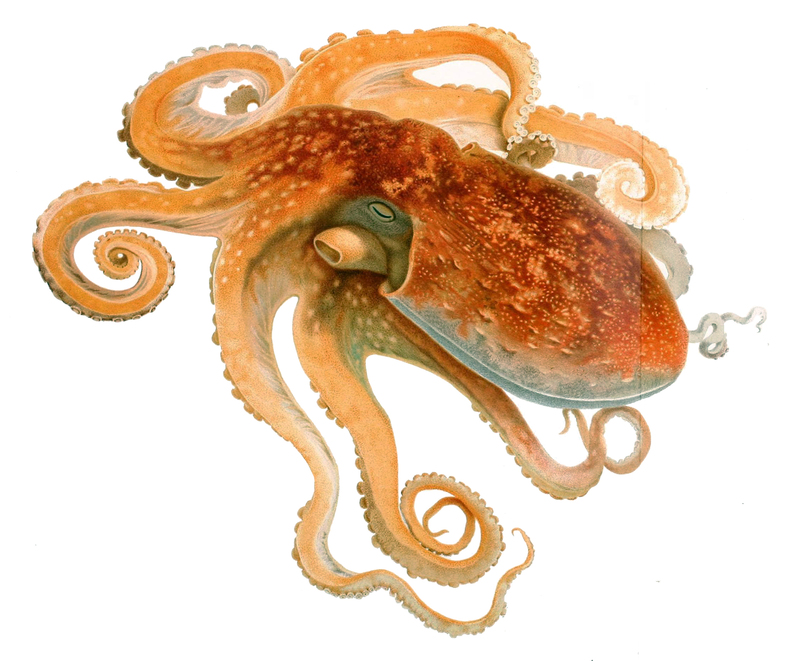 Management regulations such as size limits, closed seasons and catch limits exist, and are based on what is known on the red octopus population as little data exists on the common octopus. Although a new management plan has been proposed, enforcement has been ineffective in the past. Quotas are exceeded, and illegal, unregulated and unreported (IUU) fishing occurs. It is not known how the populations of bait species such as crabs and fish are impacted as a result of the octopus fishery. No bycatch apart from octopus are caught, but red octopus may be overfished. Fishermen typically use a baited line attached to a pole called “jimba” to catch red and common octopuses in Mexico. This method causes little to no damage to the habitat. Production statistics for octopus by species are not readily available for the Philippines. However, collectively, production has been declining since the early 1990s and were around 4000 mt in 2014. In 2016 the Philippines were the second-largest exporter of octopus to the US in terms of volume, at over 3,000 mt, worth $11 million, although their importance has declined since 2007 as Spanish imports have increased in line with demand. There is no stock assessment for big blue octopus and it is unknown if overfishing is occurring. Hand implements and vertical lines selective gears, but other highly vulnerable species of octopus are caught, also with unknown stock status. There are no management measures specific to the octopus fishery, and though fishing with vertical lines has minimal impact on the sea floor, there are risks of harm to coral reef habitats from fishermen walking on them when fishing with hand implements. Although there have been some attempts to develop ecosystem-based management, policies and measures have not been implemented. There is no stock assessment for common octopus and it is unknown if overfishing is occurring. Hand implements and vertical lines selective gears, but other highly vulnerable species of octopus are caught, also with unknown stock status. There are no management measures specific to the octopus fishery, and though fishing with vertical lines has minimal impact on the sea floor, there are risks of harm to coral reef habitats from fishermen walking on them when fishing with hand implements. Although there have been some attempts to develop ecosystem-based management, policies and measures have not been implemented. The day octopus fishery is an open-access nearshore fishery which operates on archipelago reefs. Although six species of octopus are caught in Indonesia, day octopus is the main species exported to international markets. Octopus landings in Indonesia have been increasing since 2004. Indonesia currently catches the largest volume of octopuses in Southern Asia. 10% of all imported octopus in the US comes from Indonesia. Day octopuses have life history characteristics that make them inherently resilient against fishing pressure. These include a short lifespan, high fecundity, and quick time to maturity. Stock status is unknown as no stock assessments are performed on the commercial fishery. A large subsistence fishery also exists. Fishing mortality is a high concern due to the unknown amounts of octopus taken from both the commercial and subsistence sectors. The Ministry of Marine Affairs and Fisheries (MMAF) is a governmental agency responsible for the management of Indonesian fisheries. Management is ineffective as there are no regulations which limit fishing effort in the nearshore areas where the day octopus fishery takes place. Nearshore fisheries are generally treated as open access. There is no bycatch caught in the spear fishery as the fishing method allows fishermen to visually identify the species before catching it. No bait is used in traps which instead takes advantage of the homing behaviour of octopuses. Therefore no bycatch species are attracted to the traps and are not caught. 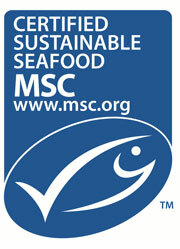 Any bycatch caught by handlines can be released live. Handlines cause minimal impact on the habitat as the baited hooks do not usually touch the ocean floor. Traps can cause some damage depending on what type of habitat they are placed on, and whether pieces of coral are broken off and used to weigh the traps down. Spear guns can also cause damage, as fishermen walk over coral reefs, and use picks or spears to break apart the octopus holes which consist of coral reef.